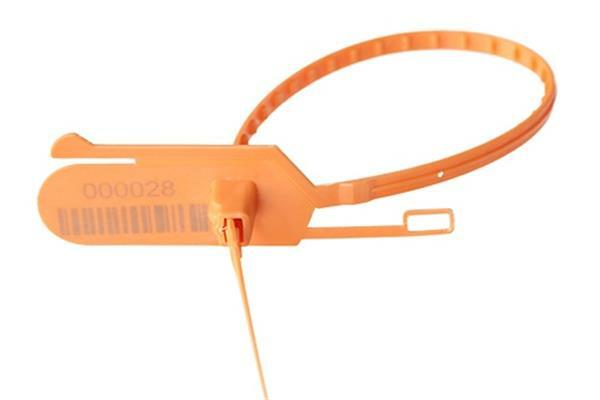 Plastic seals are widely used at electronic factories, warehouse, petroleum, bank, finance, products inspection, packing barrel sealing, energy measuring, supermarket, logistics, express, sea freight companies, etc. 1.The inner steel disc is A3 stainless steel with big strength, and good heat-resistance and anti-corrosion performance. The strength is double as the one-time shaped plastic seals, which will protect goods better and effectively prevent the change of goods. 2.Plastic seals adopt thick PE transparent packing plastic bags with numbers labeled, which is easy for customers to use products more conveniently. 3.The quality is reliable and environmental protection without poisonous gas and workers hands will not get allergy after direct contact. 4.It has wide application, such as electricity box, postal bag, instrument, gas, water supply, chemical, commercial inspection, transportation products processing, products inspection, energy measuring and so on.